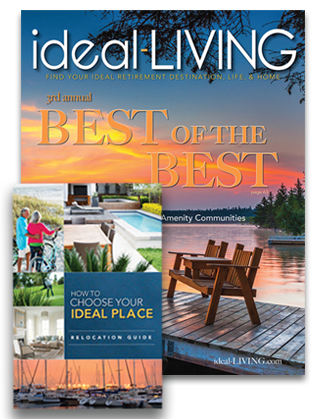 The 2017 Ideal Home is situated bayside at Summerhouse on Everett Bay. Surrounding waterfront home sites will be available for purchase in the summer of 2017. It’s all about the water in this Ideal Home. Living outdoors is a focal point, with nearly 1,200 square feet of covered porches. And, Intracoastal Waterway views are plentiful. Gorgeous coastal sunsets are visible on every level, and you have a clear view of Topsail Island from the Crow’s Next Porch. Complete with an open floor plan, you don’t miss anything when cooking or entertaining in this year’s Ideal Home. The view is always included. The coastal décor has a light and airy feel that melds beautifully with the landscape. 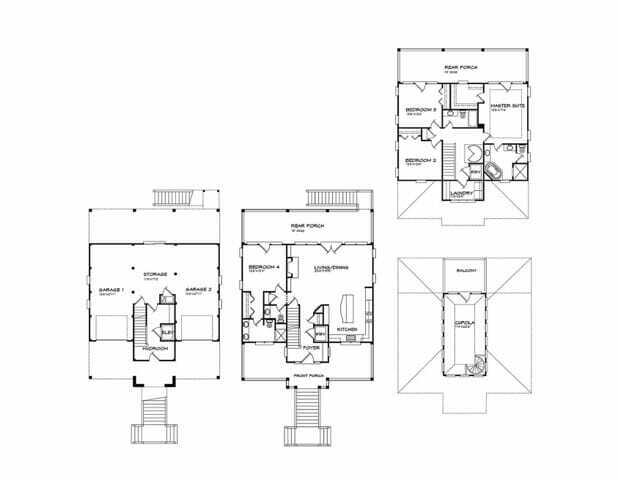 It’s a four-bedroom home with a guest suite on the first floor, and a master suite and two additional bedrooms one floor above. 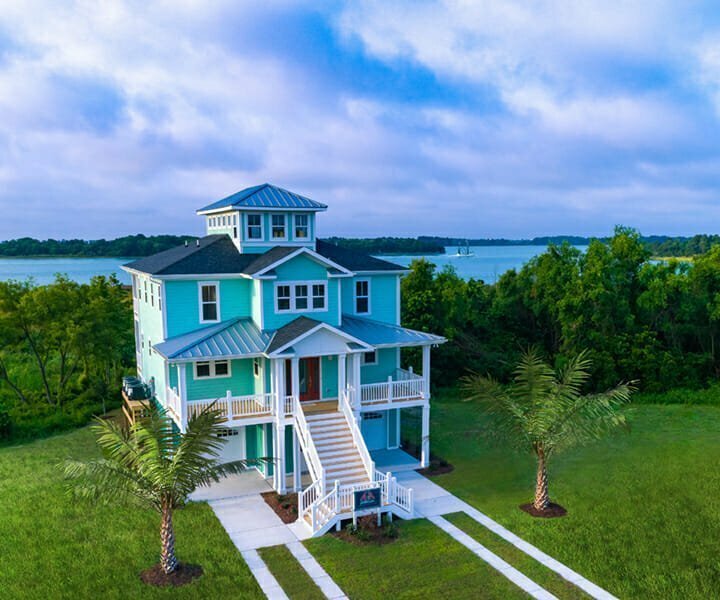 A spiral staircase leads you to the Crow’s Nest that can serve as an inspiring coastal office, a charming reading room, or a one-of-a-kind sunroom. The Crow’s Nest is the room that takes ideal living to the level deserving of the Ideal Home award. The elevator helps too. Scott Sullivan of the Sullivan Design Group didn’t skimp on luxury details, and subsequently made the home ideal for retirees and young families alike. Family-owned AnA Builders, Inc. was eager to dive in when asked to build the 2017 Ideal Home. Owners Michael Afify and his father, Mo, offer hands-on professionalism and expertise. Michael and his wife, Amber, were married at the clubhouse in Summerhouse. Summerhouse invites you to tour the 2017 Ideal Home and the surrounding community at your leisure.